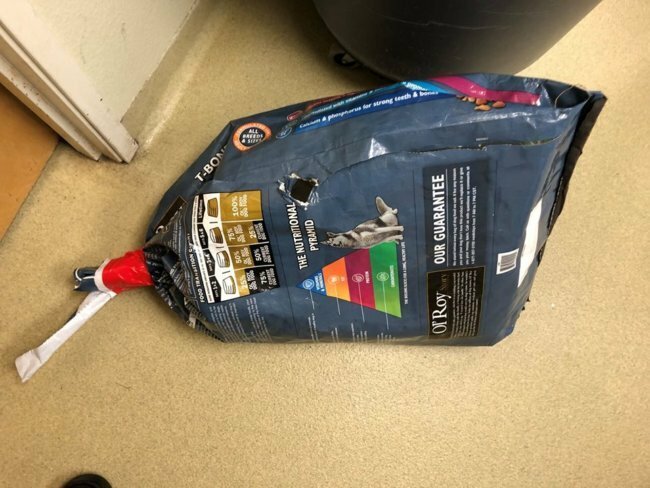 In Escondido, California nine abandoned puppies were discovered on Thursday stuffed in a sealed dog food bag. The puppies, estimated to be between 10 and 14 days old were found by a Good Samaritan. 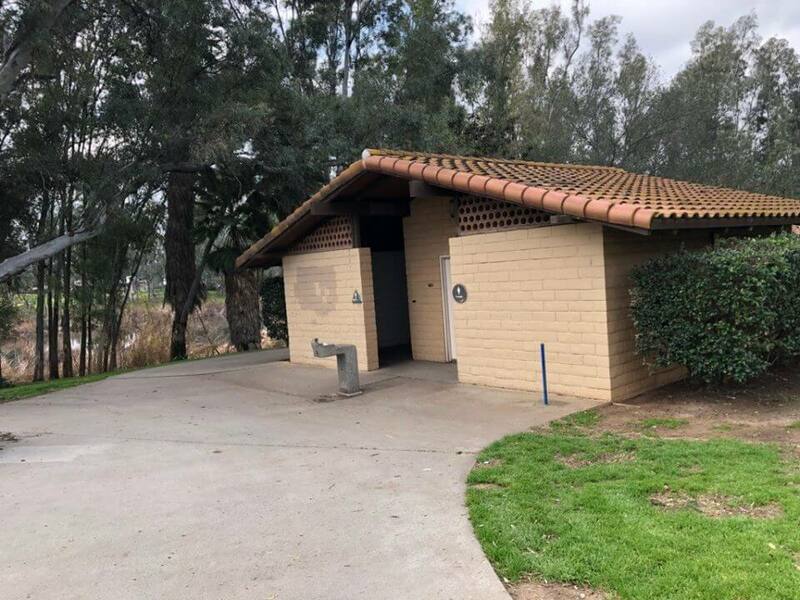 According to the San Diego Humane Society, the puppies had been sealed in the bag with duct tape and found at Kit Carson Park. The little ones were shivering from the cold, dehydrated, and covered in their own feces and urine. 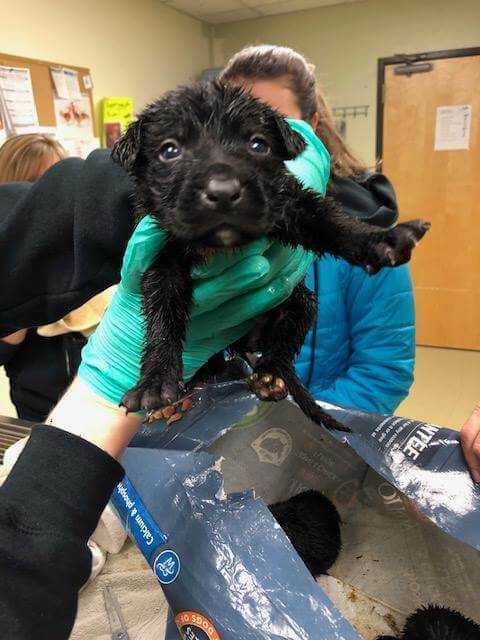 The organization is asking for the public’s help identifying the person who abandoned the puppies in this way. The San Diego Humane Society is an open admission shelter which means anyone can surrender or bring pets to them. Fortunately, the nine puppies survived and are being cared for the organization. They were given baths, examined by veterinarians and are now being fostered. Crime stoppers has offered a $1,000 reward for the arrest and conviction of the responsible person. Anyone with information is asked to contact San Diego Humane Society’s Humane Law Enforcement by calling 619-299-7012. To donate to the care of these nine abandoned puppies, please follow the link here. Nine puppies were abandoned in an emptied dog food bag, sealed with duct tape, in Escondido. Two good Samaritans discovered the puppies and immediately brought them to San Diego Humane Society’s Escondido Campus. Listen to what they had to say about the experience in the video below. If you have any information about this case, please report it to San Diego Humane Society’s Humane Law Enforcement by calling 619-299-7012.